This 60oz Glass Pitcher is the beer servers' standard, and is offered by both Libbey and Arc. 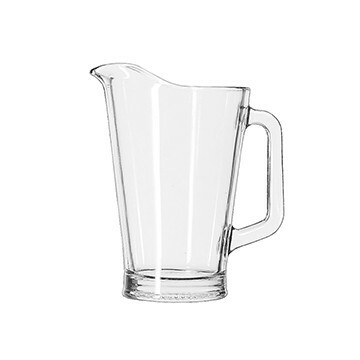 The pitcher is formed from thick, clear glass and suitable for serving ice cold ales and lagers alike. Custom branding comes in the form of 5-color screen printing.